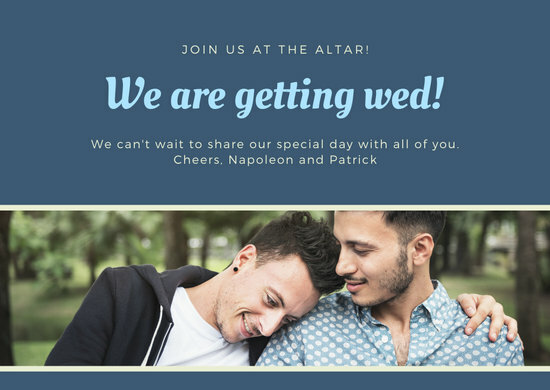 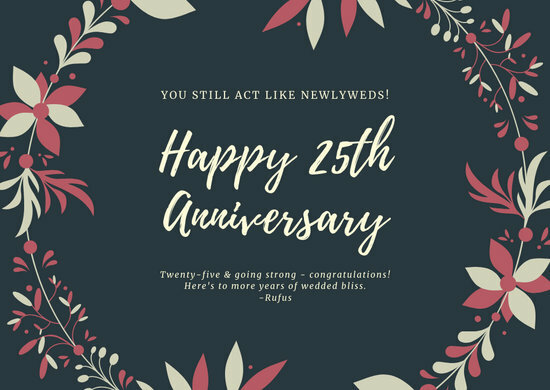 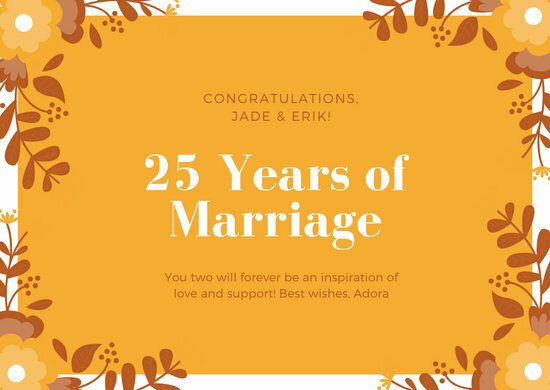 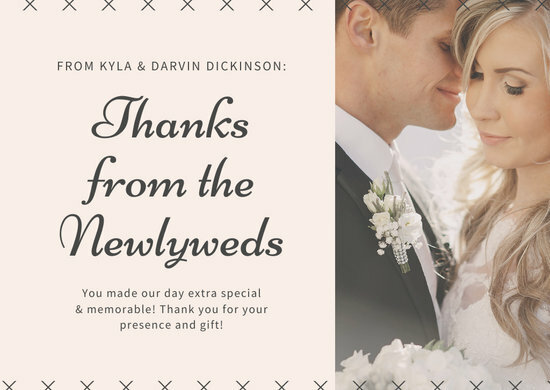 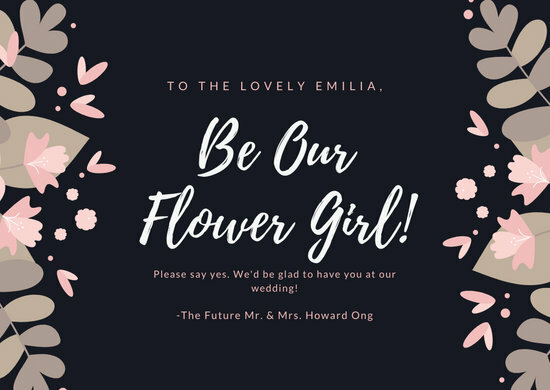 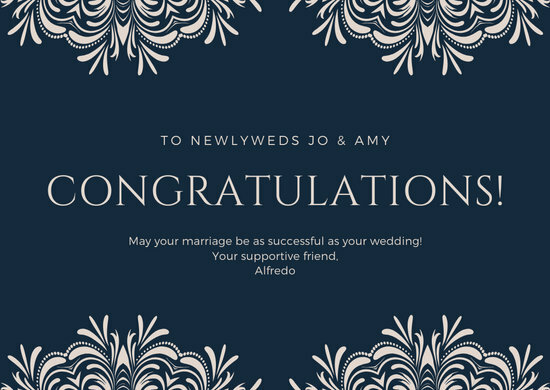 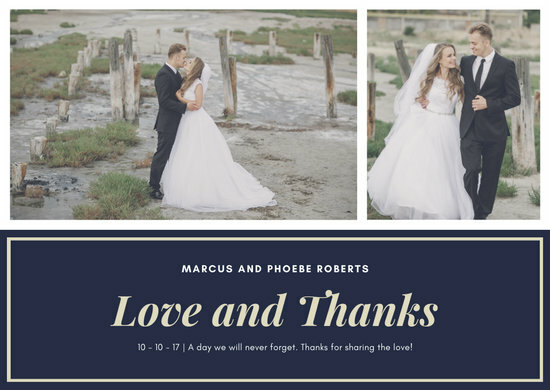 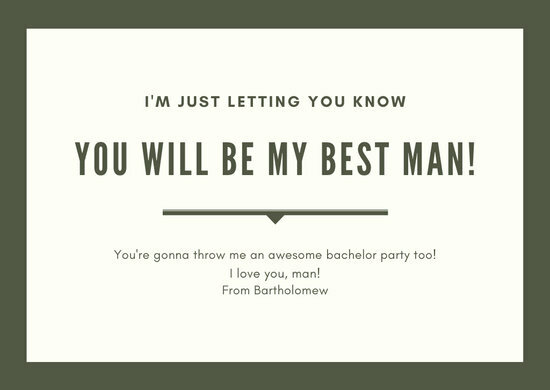 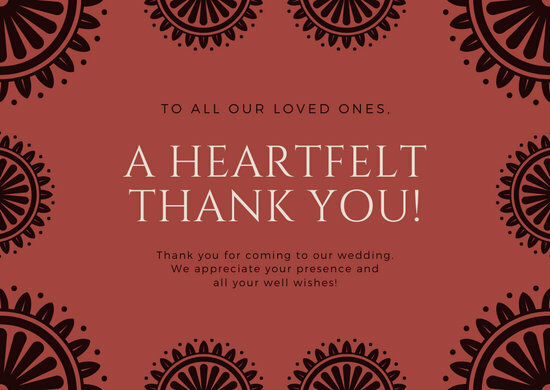 Send well-wishes to the happy couple with a gorgeous Wedding Card made and personalized with Canva. 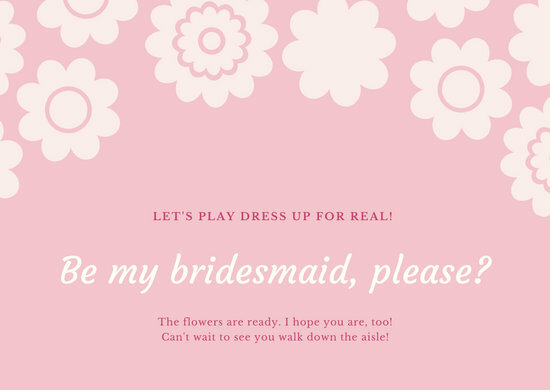 Everyone knows that organizing a wedding can cause undue pressure on the engaged couple. 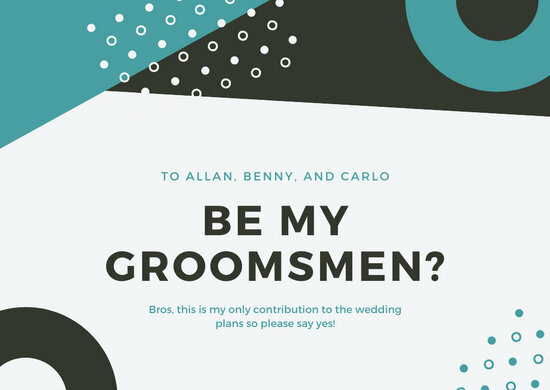 There are so many preparations they need to arrange, payments they need to allocate budget for, and decisions they need to make leading up to the big day. 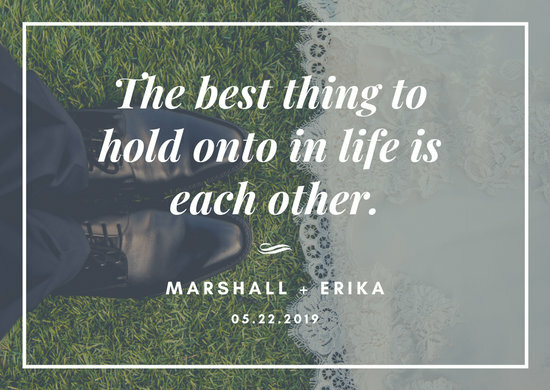 If you’re tying the knot and feeling overwhelmed, don’t worry! 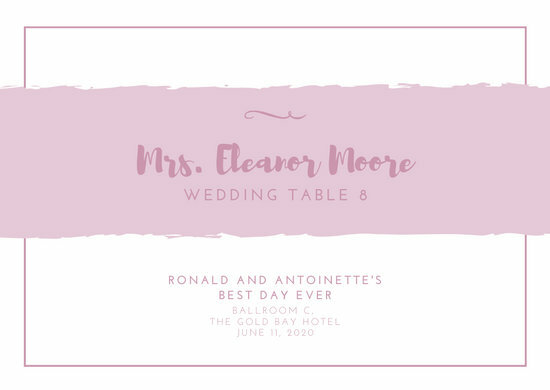 Things won’t always be stressful in every aspect of the planning. 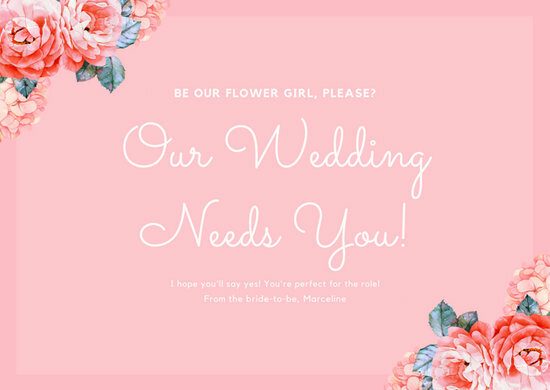 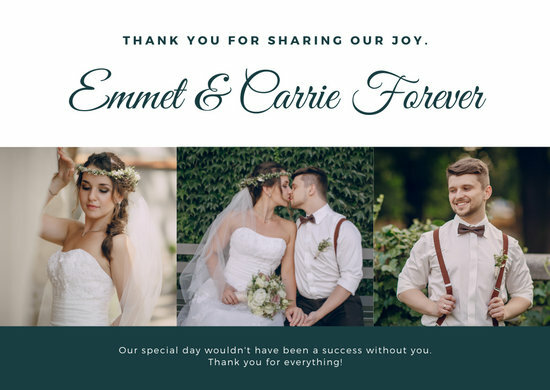 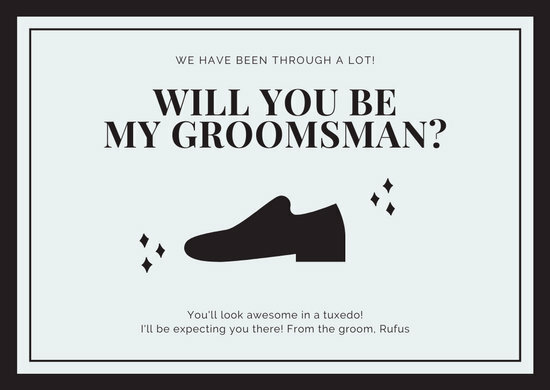 When it comes to designing your wedding cards, turn to Canva! 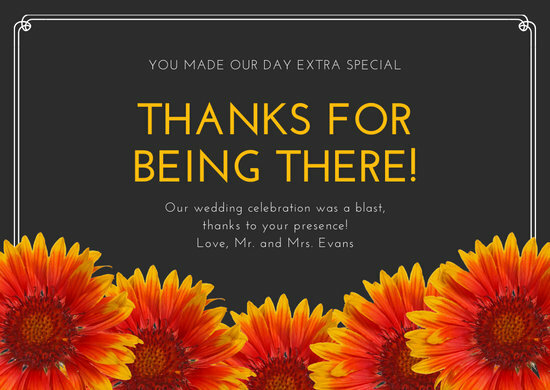 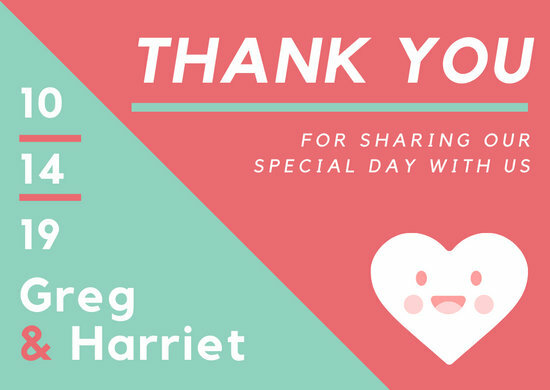 You don’t need to hire costly graphic artists to produce professional-looking announcements, invitations, or thank you cards. 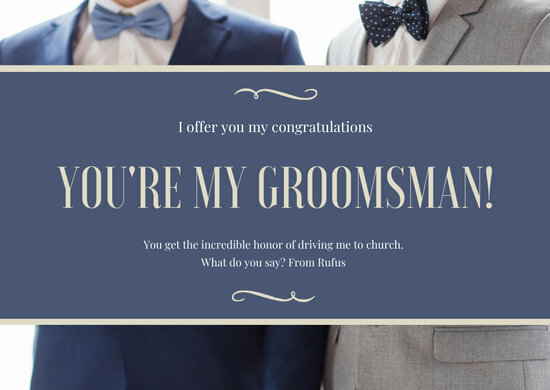 Just choose your favorite from thousands of stunning layouts at your disposal. 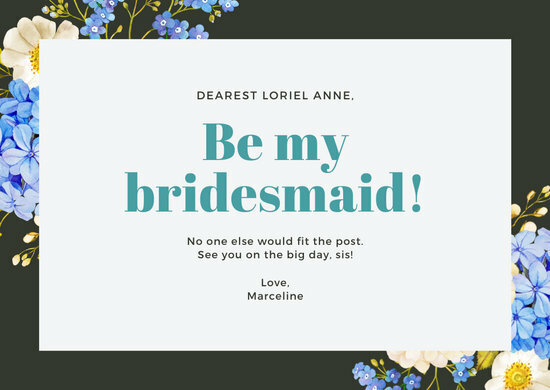 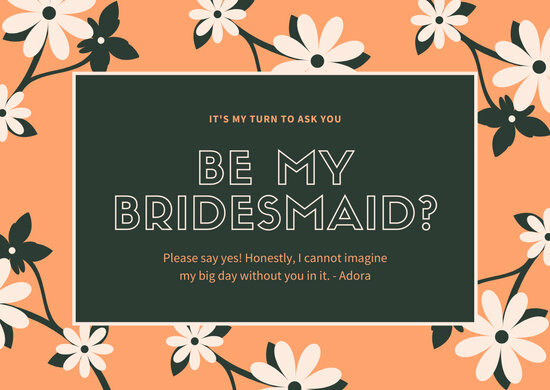 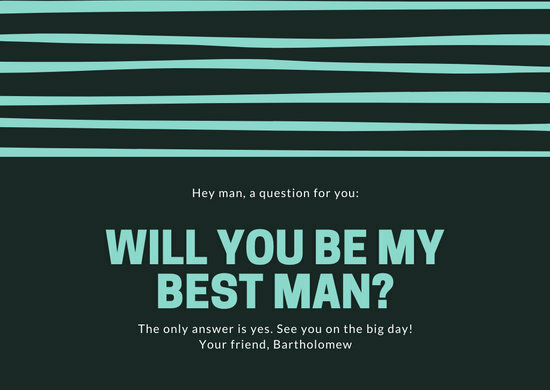 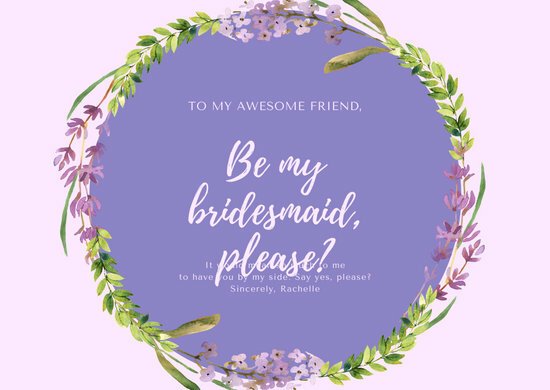 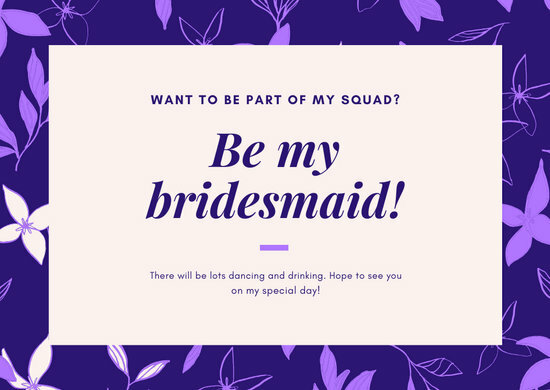 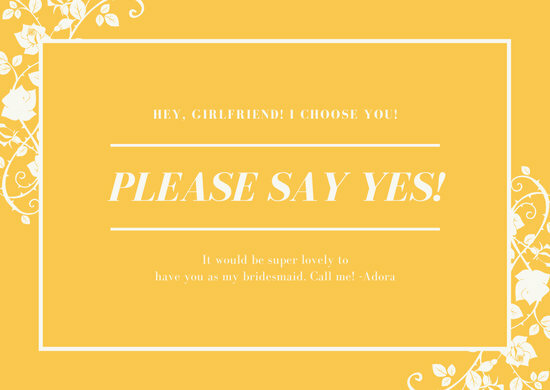 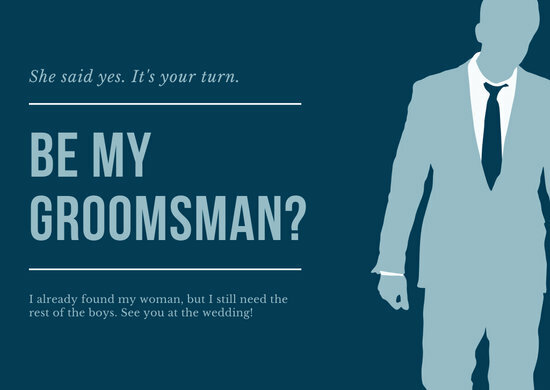 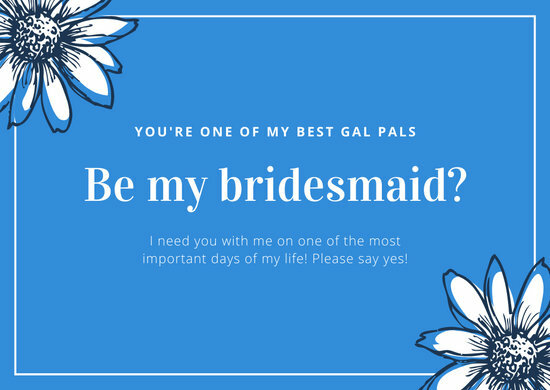 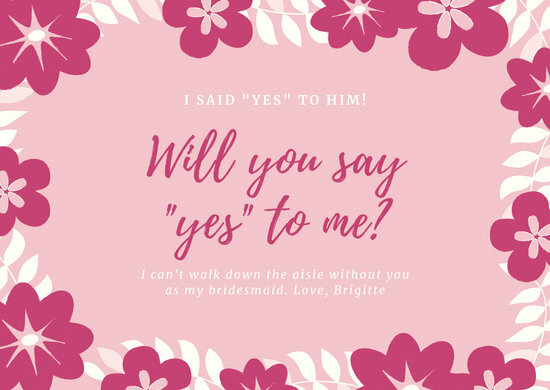 Ask a friend to be your bridesmaid. 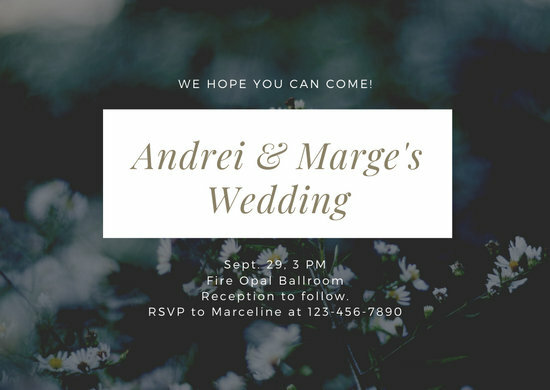 Spill the details of your reception party. 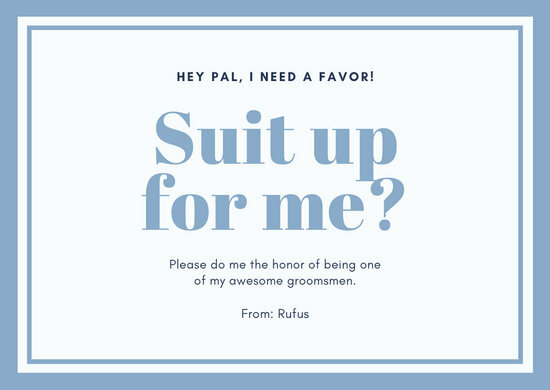 Whatever you need, Canva has got you covered! 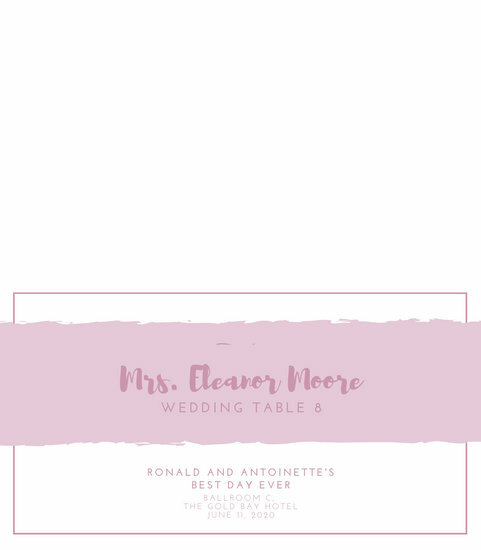 Pick a card from our website or app that matches your theme and customize it effortlessly. 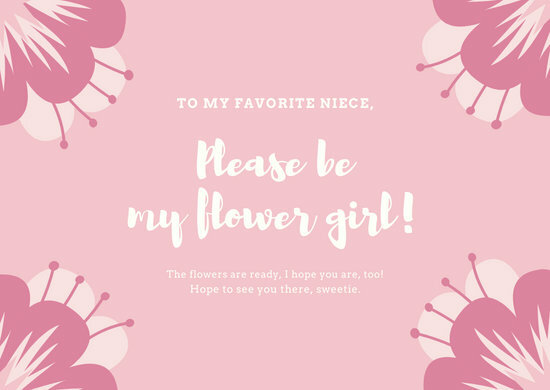 Type in the information, experiment with fresh fonts, combine the best colors, and rearrange the texts in a way that will make your message stand out. 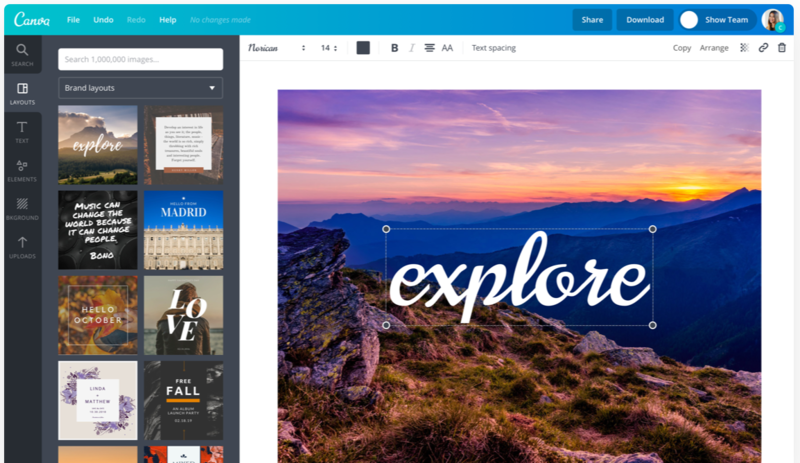 Add visuals from your personal album or take elements from Canva’s stock library. 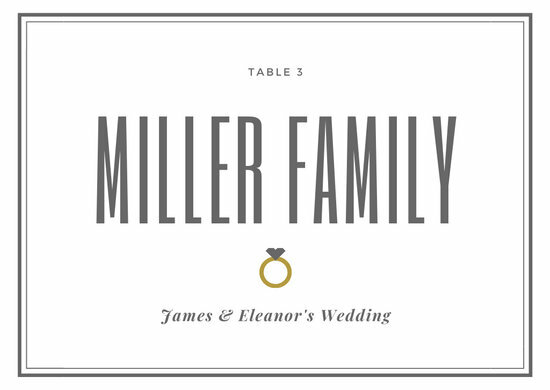 Choose from over one million beautiful photographs, illustrations, and vectors. 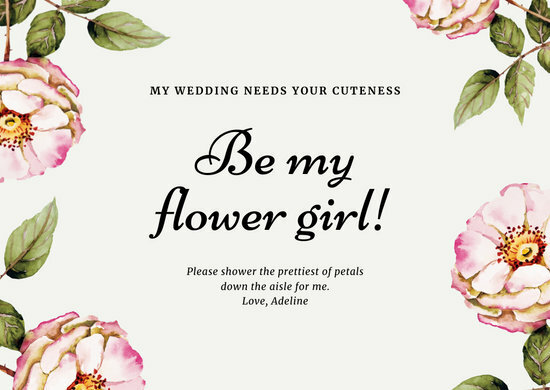 Flower graphics can be used as borders for a garden wedding, while a picture of the loving pair can be transformed into a personalized background.